This is Nikita, who turns out to be a very chatty cat indeed. 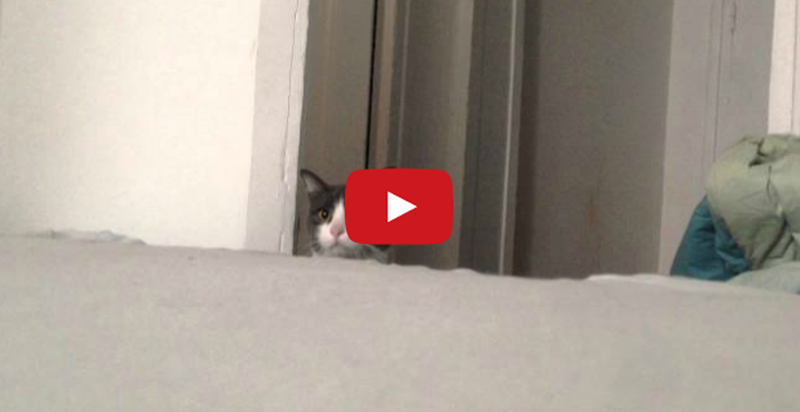 If you’re in need of a dose of chirrups, meows and brrrups, then you’ll love this video. 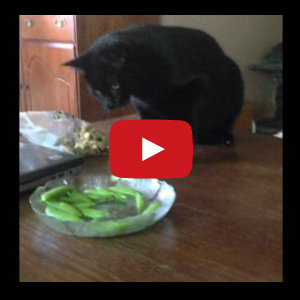 Would your cat be mystified by musical peas? Actually, come to think of it I think I would be freaked out if I thought my vegetables were playing an invisible guitar… For another take on an uncertain cat, check this out. 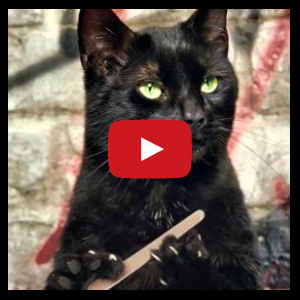 Here’s a video of a cat that I just love for being so beautiful and cute! No crazy running around or jumping in stuff, just plain old kitten gorgeousness. 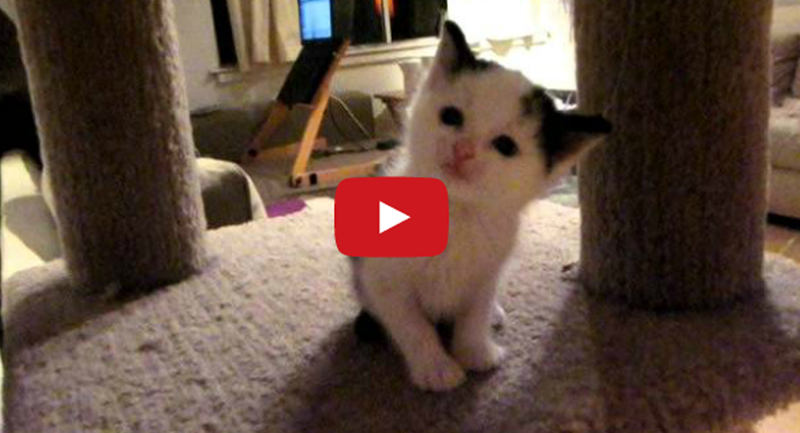 I’m not sure if it’s the cutest kitten ever as the title of the video claims, but it must be right up there. The Lion King – with Kittens! This Kitty Loves Bath Time! 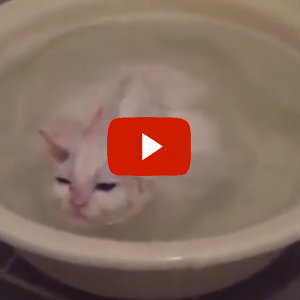 In the same way we don’t like to leave our warm beds, this cute little kitten doesn’t want to leave his warm bath! I must say it’s quite unusual to find a kitty that loves bath time! 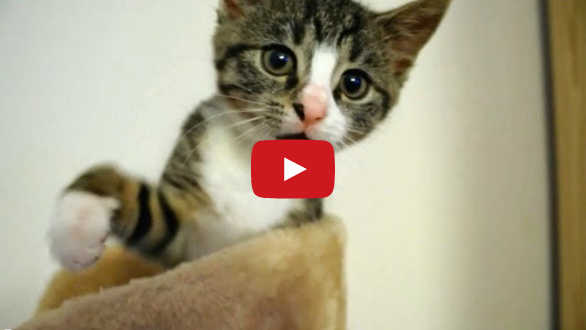 Click here to see a cute chorus line of kittens dancing. Now you see me…now you don’t…..now you see me….now you don’t. Introducing, the hide and seek cat!